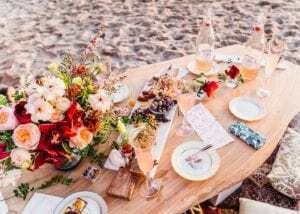 Malibu has truly become a destination getaway and you would not believe the number of requests we get for Bachelor and Bachelorette parties this time of year. Malibu is a great alternative to the typical craziness Vegas and private chef requests are on the rise. When large groups come here on vacation it can be difficult to plan meals, especially when eating out at restaurants. Getting a reservation for a large group, ordering an Uber, and planning can be difficult and pricy. 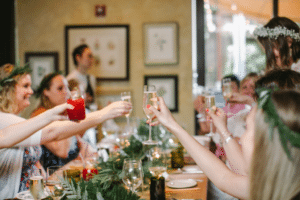 Instead of going through the stress and hassle of getting an entire group out of the door to make a dinner reservation on time, they’re calling a personal chef instead. The chef arrives to their rental home to start cooking a few hours before the dinner. The group casually hangs out and starts dinner when everyone is ready. They’re then able to enjoy the evening on their own terms and don’t feel rushed to get out of a restaurant at a certain time, the entire evening is just for them. Their chef takes care of everything and cleans up at the end of the meal. This is a unique way of dining that allows guests to sit back and enjoy an amazing meal with friends they way that they should. Creating a uniquely memorable experience is what it’s all about. Malibu truly is one of the best getaways and being able to have a personal chef is one of it’s many luxuries.